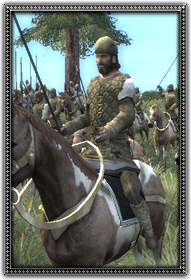 Knechten tend to the needs of the Teutonic Knights and their steeds, acting as squires in most regards. While they may primarily take on the role of a servant, this does not rule them out of playing a part in battle. As Knechten are lightly armoured and forgo a heavy lance, they are capable of moving with a switness their masters lack.